Why are Grocers For Plastic Bag Bans? Have you ever wondered why grocery stores are in support of a plastic bag ban? Well, I have. I wondered if they supported the bag ban in order to cozy up to local officials? Or was it because they wanted to be good citizens? Or, is there some kind of financial incentive? 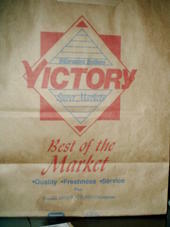 Before a bag ban, stores purchased plastic and paper bags and distributed these bags at checkout for “free”. They really weren’t free, the retailer purchased and paid for the bags and passed the cost to you in the form of higher retail prices. Plastic bags cost less than 2 cents each and paper bags from 5 to 8 cents each in bulk quantities. The cost of plastic and paper bags is considered an overhead cost or an indirect cost and is indirectly paid for by customers. So why would stores want to inconvenience their customers by not providing “free bags”? Excuse me … the stores didn’t inconvenience their customers, it was the city or county that passed the bag ban and inconvenience their residents. The store just blames the city or county! But the truth is that the stores are in full support of the plastic bag ban and the shift towards using reusable bags. They even sent representatives from the California Grocers Association to public meetings to testify that grocers supported efforts to ban plastic carryout bags. Of course any grocery store could have stopped distributing plastic bags and required customers to pay for paper bags any time they wanted to. But if they did, they would lose a large share of their customer base to a competing grocer who continued to distribute bags. So a local ordinance or state law that would force competitors to do the same is in their interest. So turning an overhead item to a profit center increases overall profit for individual stores and large chains. So all things being equal, profitability seems to be driving factor behind support by retailers for bag bans. So much for being green! Recommended For Further Reading: Be sure to read the article titled: “Plastic Bag ban Creates New Welfare Benefit“. This article explains the exemption to the paper bag fee for certain classes of shoppers who can receive paper bags for free and which in essence create a new welfare benefit paid for by all shoppers, particularly those shoppers who pay paper bag fees.